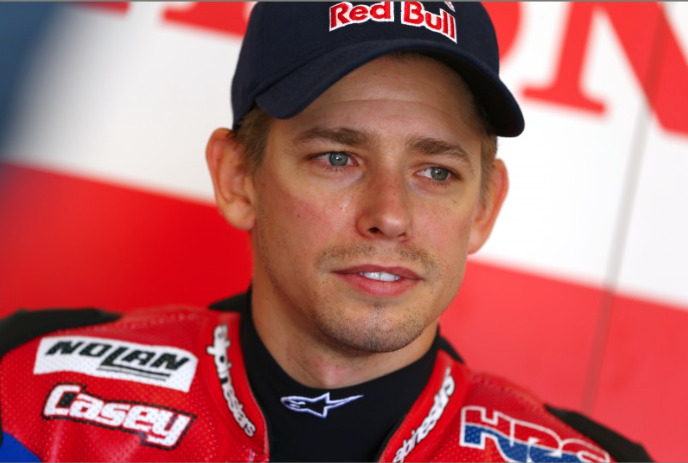 Two-time MotoGP World Champion, Casey Stoner, has finished his two day test in Japan with Honda Racing Corporation – the first time back on a MotoGP machine since October last year. Does this man look like he’s retired? Really? Yesterday morning, Casey took to the 4.801km circuit located amongst the vast natural beauty of the northern Kanto district and scene of Honda’s recent 2014 World Championship clinching race, just a few weeks ago. The weather was kind and the intense testing programme reached it’s conclusion this afternoon after a full two days. 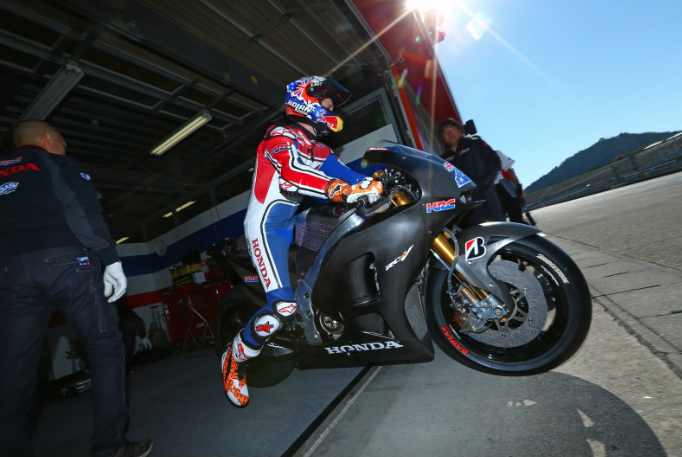 Casey spent time testing the 2015 Honda RC213V machine on the current specification Bridgestone tyres testing various items including engine development and different setups. He also spent time on the 2016 Michelin tyres. Is this man faster than Marc Marquez? G’day? Looks like it from here. We think this guy is quicker than the other guy. Buying a farm and doing some fishing, that’s what he said he’d be doing.